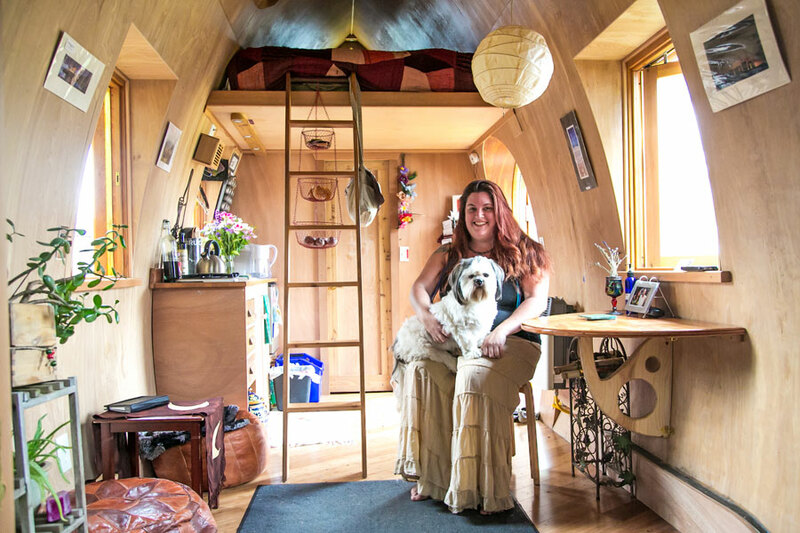 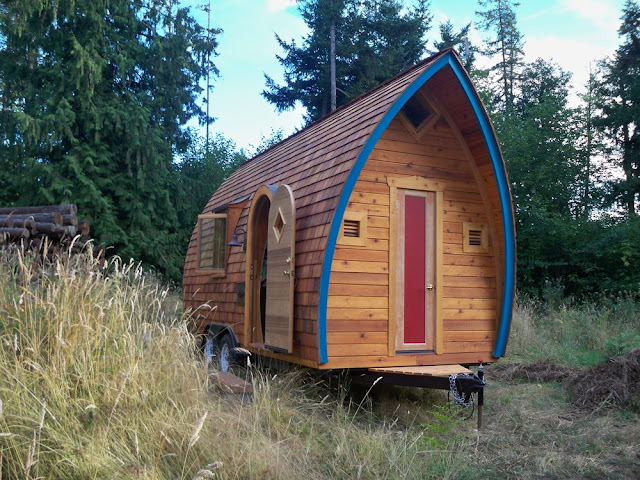 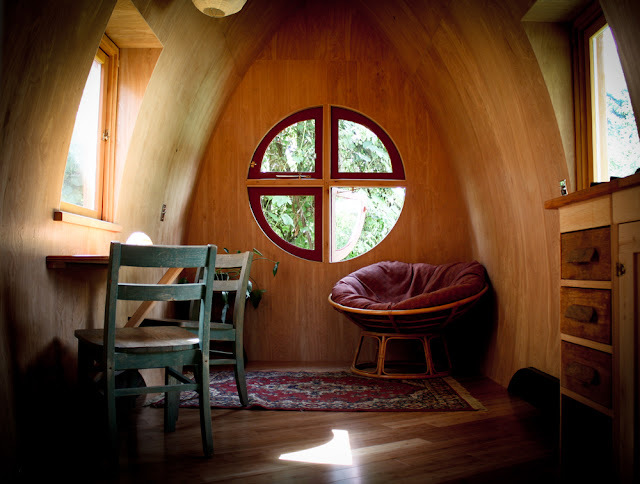 This curvy tiny house is by Zyl Vardos of Olympia, Washington. 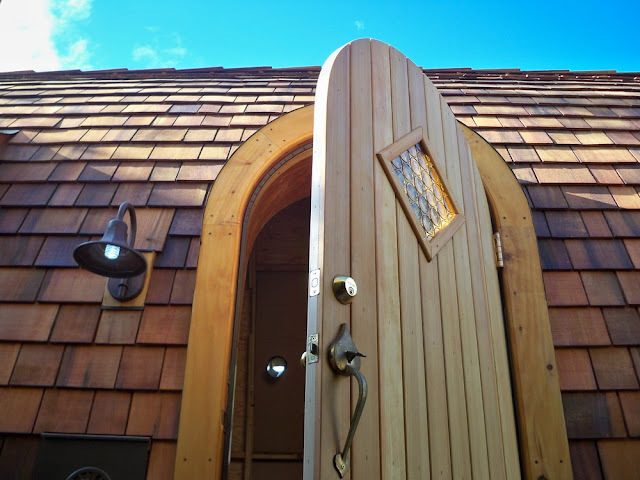 Named the "Fortune Cookie", the home has a loft bedroom large enough to fit a queen-sized bedroom, a full kitchen and a bathroom. 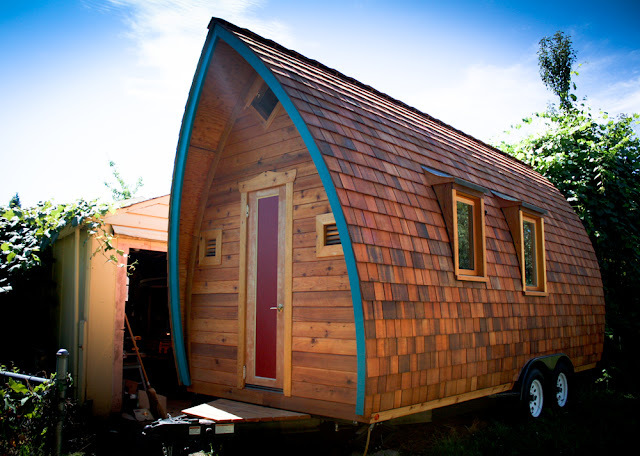 The kitchen comes outfitted with a two-burner propane or electric range, a sink and compact refrigerator. 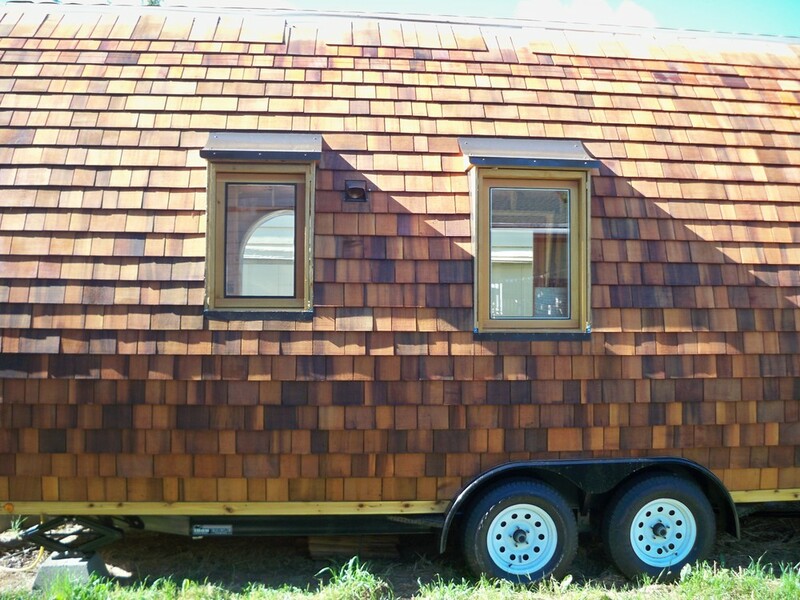 The home comes in 18', 20' and 22' lengths, ranging in price from $44,000 to $48,850. 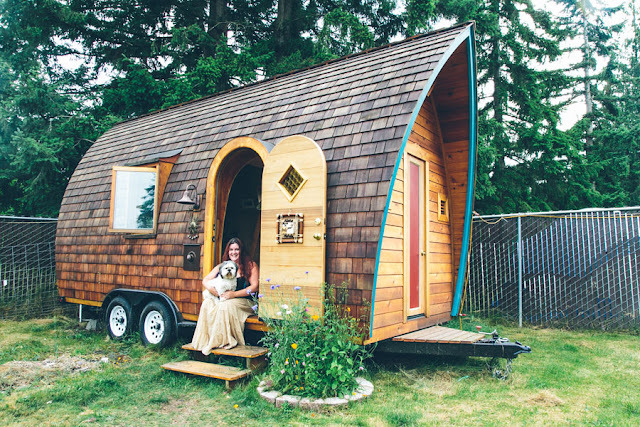 If you like the Fortune Cookie, be sure to have a look at another one of Zyl Vardos' tiny houses, the Pacifica and the Little Bird.